The Berger Picard is a medium-sized, well-muscled dog, slightly longer than tall with a tousled yet elegant appearance. Their ears are naturally erect, high-set and quite wide at the base. Their eyebrows are thick, but do not shield their dark frank eyes. Yes, they really do smile! Their natural tail normally reaches to the hock and is carried with a slight J-curve at the tip. Their weather proof coat is harsh and crisp to the touch, not excessively long with a minimal undercoat. 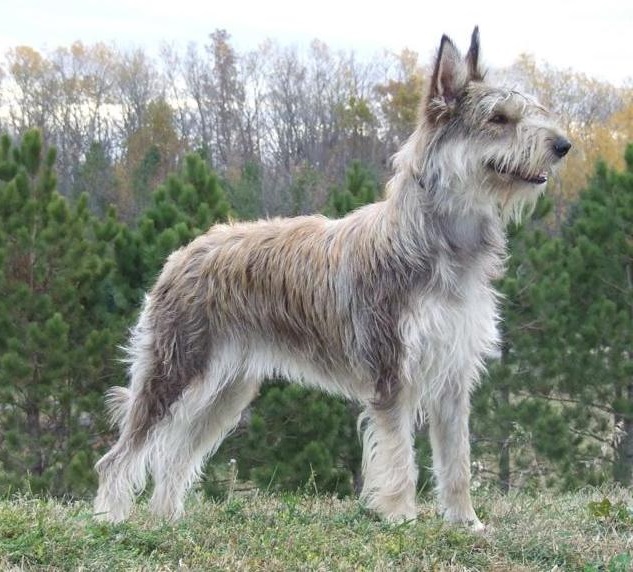 Coat colors fall into two basic colors: fawn and brindle. 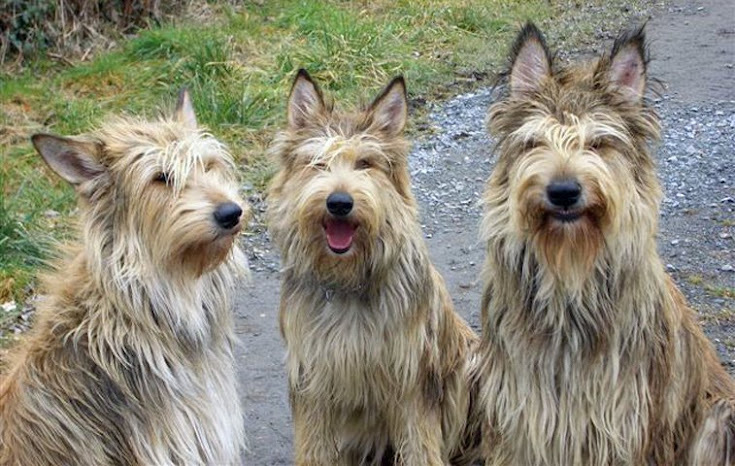 The Berger Picard’s attributes include a lively, intelligent personality and a sensitive and assertive disposition that responds quickly to obedience training. By and large Picards are laid back and mellow but they are known for having a stubborn streak and being reserved towards strangers. Picards are energetic and hard working, alert, loyal and sweet-tempered with children. They are happiest when they have a job to do. They also have a protective nature, making them a good guard dog. However, they are not excessive barkers. The breed also has a well developed sense of humor making them an endearing companion, and they continue to be used very effectively as both sheep and cattle herders in their native land and elsewhere. At times, Picards may have an opinion and will freely share it with you. Either you have been gone from the house too long, the neighbor is making a lot of dreadful noise or they don’t like the looks of the new dog that just came into the dog park, a Picard will let you know what he is thinking. This trait can be wonderfully refreshing or quite tedious.